Our editorial team is formed by two network engineers who’ve been working in web hosting industry for over 5 years. 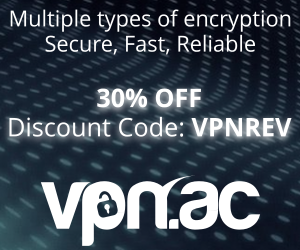 All VPN Reviews that we write are 100% legitimate, and we test the VPN services ourselves over several days, at different times of day/night to check actual performance – we do not copy & paste from other sites or providers’ claims. We are not sponsored by any VPN provider and our policy is to remain neutral, not to recommend services for our own financial gain. Unlike many other review sites that are doing SEO affiliate SPAM, all our reviews are unbiased. We run advertising on site to cover the hosting costs and to pay the VPN accounts we buy from providers to test them, but we only post ads from providers that we tested and can vouch for. We choose which VPN services to review at our discretion. But we pay close attention to our visitors’ feedback, so if you want us to review a VPN service, let us know which one, and we’ll put it under the microscope. We run our speed tests from very fast broadband connections (over 120 Mbps) and also from gigabit servers, in order to to make sure that we have enough bandwidth power to get the best possible speed out of any VPN server. For the most accurate speed results, we prefer to download big files such as Linux ISOs or large files from hosting providers and network carriers. We also use BitTorrent in our tests, downloading Linux ISO files.